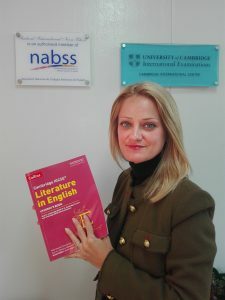 Novaschool Sunland International is proud to announce that our Principal Ms. Evans has collaborated with Collins Publishers to help produce the textbook, ‘Cambridge IGCSE Literature in English’, which has also been endorsed by Cambridge Assessment International Education for full syllabus coverage. Today was a proud moment as she received her copy of the textbook. 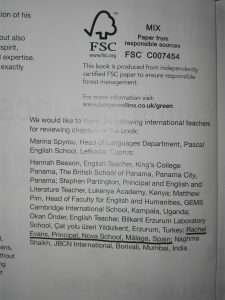 In addition to this, Ms. Evans is currently working on the Advanced Level textbook for Literature in English, hopefully this will be published next year.